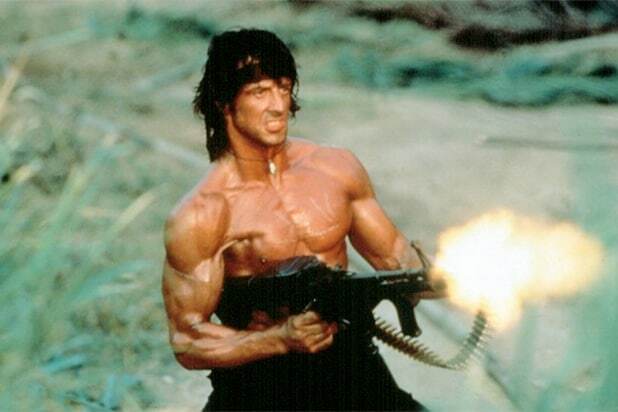 “New Blood” will explore relationship between John Rambo and ex-Navy SEAL son, J.R.
Fox just broke out the big guns. The network has closed a script deal for TV franchise “Rambo: New Blood,” based on the feature films starring Sylvester Stallone. The man behind the big screen’s John Rambo will executive produce the father-son project. The new series, which pays homage to the original “Rambo” films, will explore the complex relationship between Rambo and his son, J.R., an ex-Navy SEAL. Stallone has an option to play his famous titular character in the TV version, though nothing is set in stone yet, TheWrap has learned. “First Blood,” which is commonly (yet incorrectly) referred to as “Rambo,” was released in 1982. It followed a Vietnam veteran named John Rambo who used his combat skills against the lawmen of a small town when they arrest and abuse him. “Rambo: First Blood Part II” came out in 1985. Two more sequels followed in 1988 and 2008, respectively. The one-hour drama hails from Entertainment One and Millennium Films. “Rambo: First Blood” will be executive produced and written by Jeb Stuart. In addition to Stallone, Avi Lerner will also exec produce. Stuart is repped by UTA, Kaplan Perrone and attorney John Meigs. Executive Vice President of Global Production Carrie Stein is overseeing the project for eOneTelevision. 2. Creed (2015) This time, Stallone plays the trainer, making longshot contender Michael B. Jordan chase chickens and shadowbox, just as his trainer Mickey (Burgess Meredith) did to him. Sadly, he does not say, “You’re gonna eat lightning and crap thunder,” but lots of the Rocky scenes you like are back in fresher form. Plus, Jordan and cowriter/director Ryan Coogler prove "Fruitvale Station" was no fluke. I’m not saying Stallone’s an Oscar contender, but pundits like Jenelle Riley are. 3. Rocky II (1979) Draggy, but that last half hour is killer. When Muhammad Ali saw Carl Weathers' trash-talking Apollo Creed, he said, "That's me, all right." 4. Rocky Balboa (2006) Nobody was asking for a “Rocky" reboot, but Stallone entertainingly gets back to the sensitive side he showed in the first, quasi-neorealist "Rocky." Surprisingly poignant, and it proves Marilyn Monroe’s point about aging: "Gravity gets us all in the end." After this, he promised no more “Rocky" sequels. "What am I gonna fight, arthritis? A clogged artery?" The film also contains what Stallone wants on his tombstone: "It ain't about how hard ya hit. It's about how hard you can get hit and keep moving forward." 5. Rocky III (1982) The original Rocky teabag had one last dip in it, largely thanks to rising star Mr. T, who first uttered "I pity the fool" as Rocky’s daunting opponent. Survivor, challenged to top the fight-scene temp music (“Another One Bites the Dust”), wrote “Eye of the Tiger” in under four days — same time it took Stallone to write the first draft of Rocky -- and grabbed the Grammy. 6. Rocky IV (1985) It’s hard to say what’s the scariest here, Stallone’s 'roid-raging Rooskie rival Dolph Lundgren, his squeeze Brigitte Nielsen, Burt Young's robot (which really worked) or the movie’s right-wing mania. 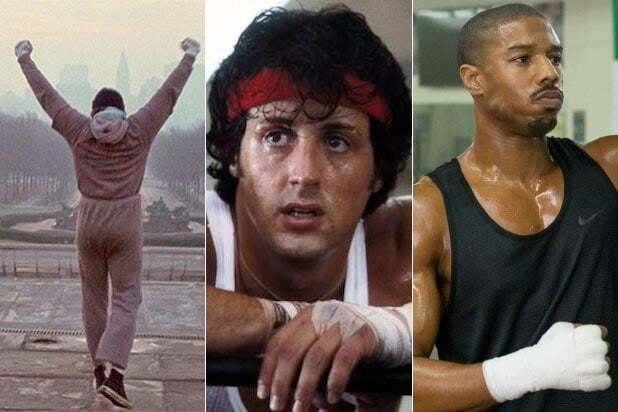 Also notable is how the film is the culmination in the series' ever-more rapid editing, given the shortened average length of each shot: "Rocky" (8.25 seconds ASL), "Rocky II" (5.6), "Rocky III" (3.7), "Rocky IV" (2.16). 7. Rocky V (1990) In this one, poor Rocky finds Dolph Lundgren gave him brain damage. The film is a "Rocky” zombie staggering through the motions. Repeat viewings could short your brain’s connoisseurship circuits.